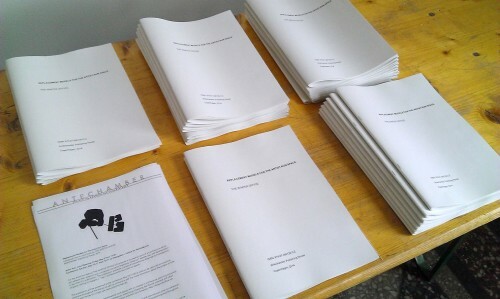 For the Artist Run festival at Overgaden, Copenhagen in May 2014 THE WINTER OFFICE proposed a conceptual work of art/architecture addressing their research and conceptual concerns regarding “artist run” spaces, use, and development – in the form of a publication. The publication presents a series of monochrome drawings as investigations of space, aiming to suggest a ”new” architecture for the artist run space. For the Artist Run festival Antechamber invited THE WINTER OFFICE as a continuation of the online publishing experiment The Void; the first edition – spanning over a year – created by Hugo Hopping.